The Spectacular Andes Mountains: Is there really any other word to describe them?! The Andes are the highest mountains outside of Asia, run the length of South America, and offer some of the most accessible alpine sightseeing on the planet! The Andes Mountains, comprised of high peaks, deep valleys, active volcanoes and snow-capped glaciers, slice South America for some 7,000 kilometres – from virtually the north of the continent to the south. With heights reaching more than 6,000 metres, the temperatures in and around the Andes can vary greatly, but there is almost always a pronounced rainy season from January to March, which can affect travel. It’s not unheard of for hiking trails to get washed out, and you trust me on this one! 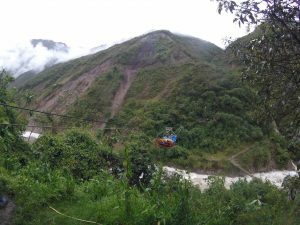 This might be your Plan B when a landslide blocks your hiking path! In Peru, the Andes, or sierra, physically separate the coastal region from the Amazon, helping to create three very distinct habitats in the country. The Andes region is home to about one-third of the country’s population, and to three popular tourist stops: Arequipa, Lake Titicaca, and Cusco/Machu Picchu. 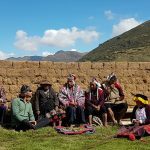 Due to challenging terrain, in rural areas many indigenous Andean communities are isolated; they speak Quechua, one of the major indigenous languages, and rely on agricultural practices. Some adobe villages seem untouched with the continued use of traditional clothes, culture and folk dance. The colder temperatures in the Andes lead to warm and hearty food preparations. Andean food centres around native crops like potatoes and quinoa and local animals, like alpaca and cuy (I’m sorry to report that guinea pigs, while considered to be lovable pets in many countries, are a main dish in the Andes). Known as “Cusco without the tourists,” Cajamarca is a well-kept secret. With plenty of pre-Inca and Inca sites, it’s steeped in history and was an important stop on the Great Inca Road. The Incas took the land from the Chavin people, but eventually, Pizarro-led Spanish forces conquered the Incas there, capturing their leader Atahualpa and resulting in the downfall of the empire. Ponder these real-life history lessons while you turn into a human ball of relaxation at the nearby hot springs; or spring to life again on a horseback-riding outing in the rolling hills of the highlands. The north Andes also encompass the Cordillera Blanca mountain range, found within Huascaran National Park (a UNESCO site), which includes Huascaran, Peru’s tallest peak (standing at more than 6,700 metres). The area, on the outskirts of the town of Huaraz (which serves as an excellent base), is not for the faint of heart or vertically-challenged. It’s synonymous with climbing, ice-climbing and skiing. Such enthusiasts can make the pilgrimage in search of adrenaline highs, alpine passes, turquoise glacial lakes, glaciers and mountain summits. 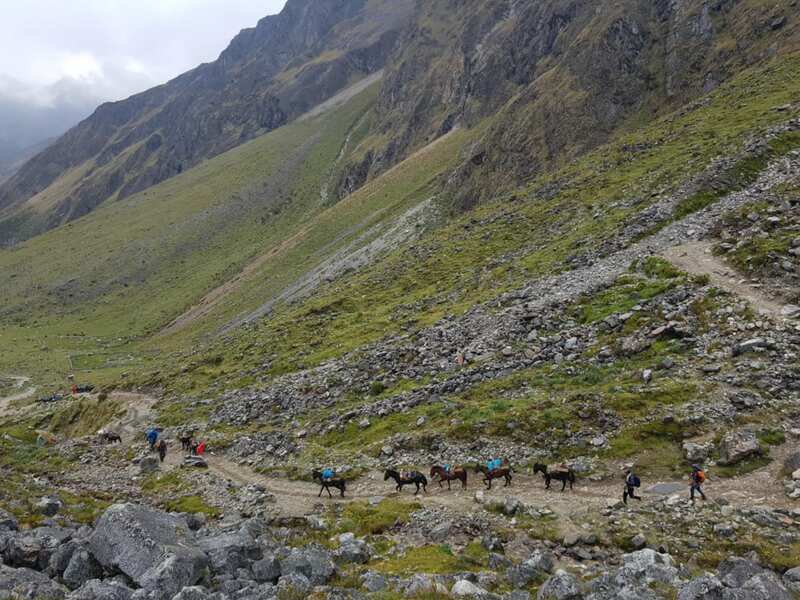 Further south, I recommend the Cordillera Huayhuash circuit – a 10-day trek that’s said to rival the Annapurna circuit in the Himalayas as the most beautiful in the world. Between Lima and Cusco lies an entire region that is often overlooked by travellers. It’s an area that continues to guard its authenticity, despite having suffered due to mining and the rise of in-country militant groups in the 20th century. Outside of the mining capital of Cerro de Pasco, roads lead to the Nature Reserve of Junin, where you can spot wild flamingos, alpacas, llamas and vicuñas happily grazing near the second-largest lake in the country and the deepest cave in South America. 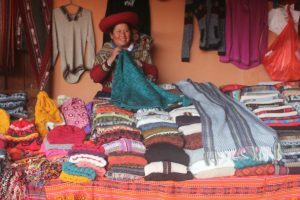 The orchards of Tarma turn into mountains that pave the way to the agricultural centre of Huancayo, a town that showcases traditional values in the form of festivals, artisan markets and striking landscapes. For anyone who thinks travelling by train is unexciting, think again: Huancayo is linked to Lima via the second-highest train pass in the world (hold onto your caboose – the train reaches altitudes of over 4,700 metres above sea level!). The railway is such a part of the regional culture here that it can be found woven into belts worn in the traditional dress. The city of Huancavelica has Andean views and intact culture that will literally take your breath away (altitude sickness, or what locals call soroche, is prevalent in these parts). The city of Huanuco is torn somewhere between mines and on the cusp of jungle territory, but it holds the keys to a 4000-year-old temple – Kotosh, considered to be one of the oldest settlements of the Americas. To see religious festivities in full swing, head to the city of Ayacucho for Semana Santa (Easter) for lively celebrations and handicraft displays. The South Andes: Arequipa, Land of Grand Volcanoes and Even Grander Canyons! It turns out the Grand Canyon is not the deepest canyon in the world – who knew? That title goes to Peru’s Cotahuasi Canyon, which is nearly twice the depth of the Grand, and is followed closely (around 150 metres difference) by its next door neighbour, the Colca Canyon. Arequipa, known as La Ciudad Blanca (“the white city”) is Peru’s second-biggest city, a UNESCO-protected colonial architectural paradise that’s built almost entirely out of white volcanic stone. When high-altitude sickness strikes, you’ll fit right in with the pale-stoned baroque buildings, museums and churches – but don’t fret, Arequipa is a worthy stop for acclimatization. 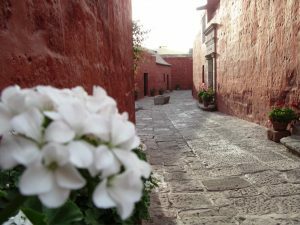 Mate de coca (coca-leaf tea), the picanterias (local restaurants), and the brightly-coloured Santa Catalina monastery will perk you right up. The city is guarded by three volcanoes, with the active snowcapped El Misti looming a little too serenely in the background. Trekkers flock to the region to conquer El Misti, Chachani, Coropuna, Alpamayo or several other classic summits, and visit the latter’s most famous former resident – Juanita the mummy – at museum in the city. There are must-see side trips into canyon country from Arequipa. The remote location of Cotahuasi Canyon makes it difficult to access, but its Class V rapids attract the world’s most daredevil kayakers and rafters. Colca Canyon is a friendlier side trip, with 14 villages and churches to visit, impressive Inca agricultural terraces (still cultivated today), and an authentic display of mountain culture – widespread use of folk dress, music and dance. The canyon provides jaw-dropping opportunities for spotting the majestic Andean condor. Besides birdwatching, popular activities include hiking, cycling, ziplining and my personal favourite, hot-springs soaking. On the way from Arequipa, you’ll (reluctantly!) pass the highest point at 4,910 metres, which is lined with rock piles (apachetas) to communicate with the apus (mountain gods). Once your prayers have been answered, you’ll drop to more manageable altitudes, passing by roadside artisans and the Salinas y Aguada Blanca Nature Reserve, with its barren land and peaceful lakes. Here you can familiarize yourself with the reserve’s countless llamas, alpacas and vicuñas, the national animal of Peru (survival tip: the first one might spit on you, the second you’ll want to cuddle, and the last will hands-down make you the softest sweater). 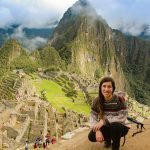 Read Adventure Peru (Part 1): From Mountains and Valleys to Forest to Coast, Peru is a Trekking Lover’s Paradise! In the south Andes and across two countries (Peru and Bolivia), you’ll find both the largest lake in South America and the highest navigable lake in the world: Lake Titicaca, which sits at more than 3,800 metres above sea level. At such high elevations, you’re sure to come across vivid blue-coloured skies and red-sunburned tourists (make sure to wear sunscreen; you’re physically closer to the sun at these altitudes, and burn faster and more dangerously). Once created to escape aggressive neighbouring tribes, Titicaca’s fascinating and hut-filled floating islands, Islas Uros, which are close to the city of Puno (the folklore capital of Peru), are entirely man-made. They are constructed out of totora reeds that grow in the depths of the lake, needing to constantly be replenished (each island has a lifespan of about 30 years). If you get a little hungry, you can even eat the ground you stand on (although not always recommended, the reeds used here are completely edible). It might feel a little spongy to walk on the islands, but it’s no leap of faith – after centuries, artificial-island-making on Titicaca has been evidently mastered. 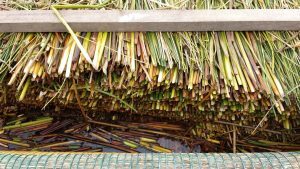 Lake Titica’s reeds are edible! In folklore, the lake is said to be the birthplace of the sun (which may also explain the sunburns) and the origin of the Incas, where they likely descended from local alpaca farmers, as evidenced by ancient ruins in proximity. While these days Uros culture is mixed with that of the Aymara, the isolated nature of the islands made it possible to hold onto their traditions for centuries. Although the main islands and reed boats can be a little touristy, you’re sure find a strong and colourful cultural identity. It’s also worth stopping at the agrarian and weaving communities of the Amantani and Taquile islands, or seeing the chullpas (funerary towers) on nearby islands. If you travel overland to Cusco, you’ll be treated to the “Sun Route,” with stops at Andahuayllas (known as the Sistine Chapel of the Andes), at spectacular mountain passes and at Inca temples. The Inca Empire held its capital in the imperial city of Cusco (13th century to 1532), which is now considered South America’s oldest continuously-inhabited city. From there, the Incas were able to oversee the four far-reaching corners of their empire, until the Spanish conquered it. When they did, they looted Inca sites, and built churches and colonial buildings atop Inca foundations. 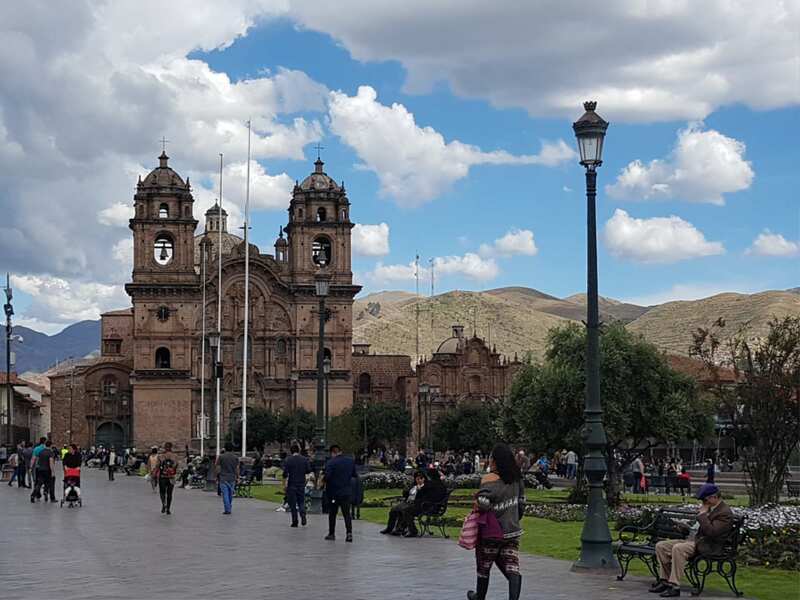 The result is today’s Cusco, which is a mix of Inca and Spanish architecture, with alpaca-sweatered tourists snapping selfies in the background, and indigenous women in colourful traditional dresses leading llamas up cobblestone streets. 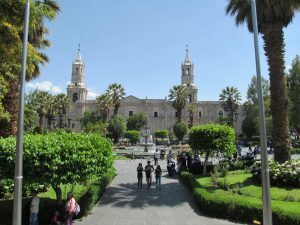 A main plaza and central fountain is flanked by elaborate churches, including the cathedral (constructed over an Inca palace), making it the starting point for the steep streets. The Santo Domingo is the result of the post-colonization raiding of the Inca sun temple of Qorikancha, which was then fashioned into a Catholic convent. Nearby ruins include the Inca fortress of Sacsayhuaman, the aqueducts at Tambomachay, the administrative centre of Puca Pucara, and the sacrificial grounds of Q’enqo. If you have time available outside of the extensive ruin-hopping, mountain biking and trekking are increasingly popular activities in the area. 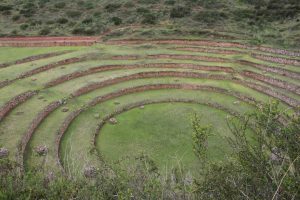 The Sacred Valley, about an hour’s drive from Cusco, is also brimming with Inca ruins, including the agricultural laboratories of Moray, the citadel and markets of Pisac, the urban centre of Urubamba, the star-gazing temples of Ollantaytambo, and the Catholic church built on ruins at Chinchero. Weavers live and work in the valley, creating unique handcrafted alpaca woollen-textiles with natural dyes, based on techniques passed down for generations. You’ll want to leave your newly-acquired alpaca goodies at home when partaking in popular rafting, hiking and rock-climbing excursions. No trip to Peru is complete without making the pilgrimage to the iconic site of Machu Picchu. Make the trek by train, or on several multi-day hikes – the most popular being the historic Inca Trail, which retraces the Incas’ steps on the Great Inca Road from Cusco to Machu Picchu. There are many theories about Machu Picchu’s function, with some calling it a political, administrative and ceremonial centre, or perhaps even a royal retreat. Machu Picchu is world-famous because its mountaintop, remote location meant it was never discovered by the Spanish. In the 20th century, the hidden site was known only to local people, and it wasn’t until they led American academic and explorer Hiram Bingham there in 1911, allowing him to make an epic “discovery,” that it gained world-wide attention (some say Bingham was the real-life inspiration for Indiana Jones). Modern-day explorers can visit other off-the-beaten path ruins, such as Choquequirao, Vitcos and Vilcabamba – the last stronghold of the Incas, and their refuge for part of the Spanish invasion. As always, there are talks of more secret Inca cities in the deepest jungles of Peru that have yet to be discovered. Keep that fedora handy – the search continues! See our Everything PERU photo gallery!